A racing game that became so popular it was made into a cartoon. I'm not kidding, google it. 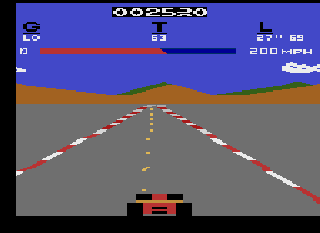 Pole Position for the Atari 2600 is a game that is a port of an arcade game. Again the graphics and sound have suffered here. However the gameplay is still the same. Race your car, hit check-points and rack up a high score. You can switch between high and low gears. Watch out for debris and other race cars. It is a decent port of the arcade game. Now you can add videos, screenshots, or other images (cover scans, disc scans, etc.) 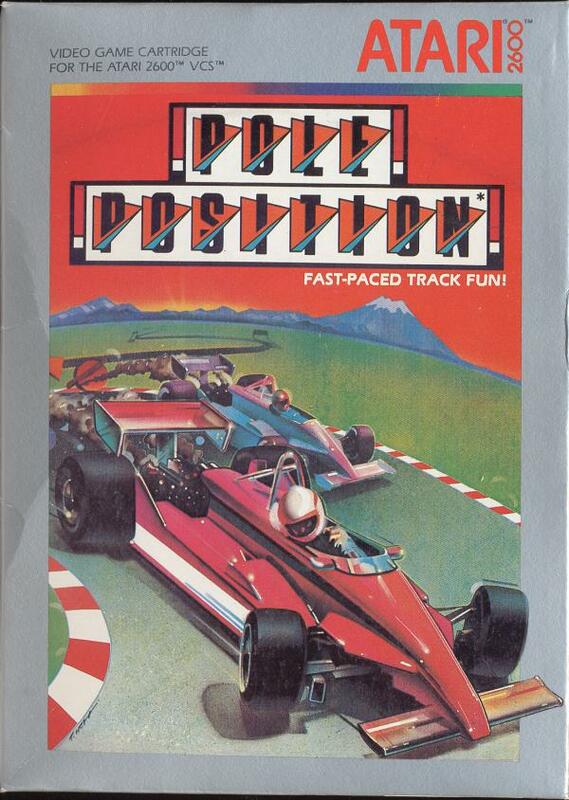 for Pole Position (RealSports Driving) (1983) (Atari - GCC, Betty Ryan Tylko, Douglas B. Macrae) (CX2694) to Emuparadise. Do it now! If you haven't noticed yet, we have a retro game of the day feature (top-right of the screen) wherein we feature a new retro title every single day! Now, you can vote for your favorite games and allow them to have their moment of glory. Click on the button below to nominate Pole Position (RealSports Driving) (1983) (Atari - GCC, Betty Ryan Tylko, Douglas B. Macrae) (CX2694) for Retro Game of the Day.